CAIRO: Saudi Arabia said on Saturday it backed steps announced by Sudan’s transitional military council and announced an aid package to Sudan that includes wheat, petroleum products, and medicine, Saudi state news agency (SPA) said. 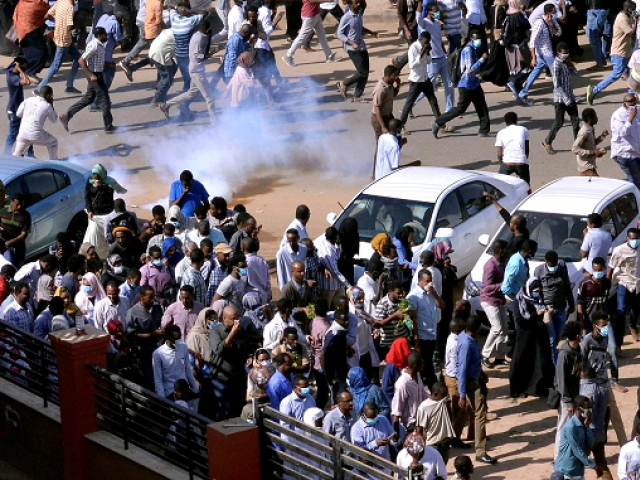 Sudan’s ruling military council on Friday promised the country would have a new civilian government, a day after the armed forces overthrew President Omar al-Bashir, but the proposal was immediately rejected by the main protest group. The council also announced that it would not extradite Bashir to face allegations of genocide at the international war crimes court. Instead, he may go on trial in Sudan. Earlier on Friday, thousands of demonstrators camped outside the defense ministry to push for a civilian government, defying a curfew and calling for mass Friday prayers. At the defense ministry compound, large tents were put up and people brought food and handed out water as the crowd swelled. Ahmed al-Sadek, a 39-year-old trader, said he had not slept at his home since the sit-in began on Saturday.